What’s new in 5G, how it’s different from its predecessor? The invention of the telephone in the 1800s made it possible to talk to people remotely and 100 or so years later the first portable handsets appeared. While mobile hardware has changed dramatically, the networks on which they rely have also undergone the huge change. The first dramatic change was when 3G networks rolled out in the early 2000s - arriving in the UK 2003 - which allowed mobile phone users to access the internet. In the late 2000s, fourth-generation mobile connectivity started to make waves and EE launched Britain's first 4G service in 2012. It made mobile internet speeds up to 500 times faster than 3G and issued support for HD mobile TV, high-quality video calls, and 3D television. But there's now talk about its successor, 5G. To look at 5G in a more simple way, it's widely believed that it'll be smarter, faster and more efficient than 4G. So, in this article, we are going discuss 5G Network deeply and its features or benefits. Fifth-generation wireless or 5G is the latest iteration of cellular technology, engineered to greatly increase the speed and responsiveness of wireless networks. It's a marketing term for some new mobile technologies. The ITU IMT-2020 standard provides for speeds up to 20 gigabits/sec and has only been demonstrated with millimeter waves of 15 gigahertz and higher frequency. The more recent 3GPP standard includes any network using the NR New Radio software. 5G New Radio can include lower frequencies, from 600 MHz to 6 GHz. However, the speeds in these lower frequencies are only modestly higher than new 4G systems, estimated at 15% to 50% faster. 5G will also enable a sharp increase in the amount of data transmitted over wireless systems due to more available bandwidth and advanced antenna technology. 5G networks are expected to launch across the world by 2020, working alongside existing 3G and 4G technology to provide speedier connections that stay online no matter where you are. It’s still not exactly known how much faster 5G will be than 4G, as much of the technology is still under development. Being said, the networks will provide a significant upgrade to current download and upload speeds - with the GSMA proposing minimum download speeds of around 1GBps. Most expected the average speed of 5G networks to reach 10Gb/s, and some even think transfer rates could reach 800Gb/s. It means users could download a full-length HD quality film in a matter of seconds, and that downloading and installing software upgrades would be completed much faster than today. What kind of functionality will 5G provide? 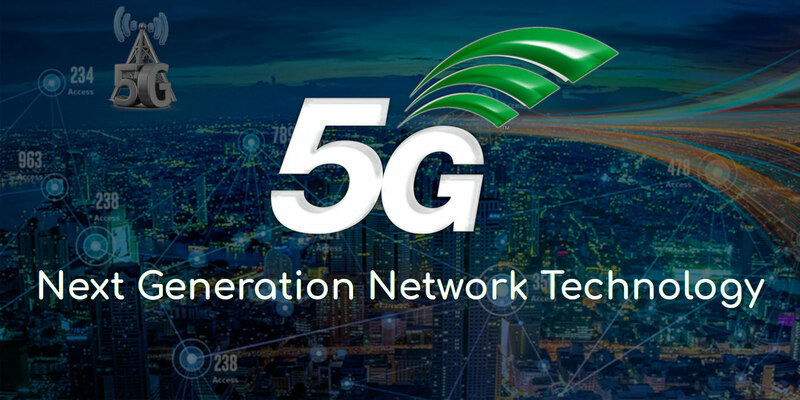 5G offers network management features, among them network slicing, which allows mobile operators to create multiple virtual networks within a single physical 5G network. This will enable wireless network connections to support specific uses or business cases and could be sold on an as-a-service basis. For example, a self-driving car would require a network slice that offers extremely fast, low-latency connections so a vehicle could navigate in real time. A home appliance could be connected via a lower-power, slower connection because high performance isn't crucial. The internet of things (IoT) could use secure, data-only connections. These networks and services will be deployed in stages over the next several years to accommodate the increasing reliance on mobile and Internet-enabled devices. Expected that it could generate a variety of new applications, uses and business cases as the technology is rolled out. Faster speed - Data transfer speeds are projected to be about 10 times higher with 5G than is possible with 4G. With 4G/LTE, downloading a high-definition movie might take about 10 minutes. With 5G, it should take less than a second. Shorter delays - Though it’s not always noticeable, there is often a brief lag in time from when data is sent to when it’s received. 5G should reduce this so-called latency, making it possible, for example, to watch high-speed virtual reality video with no delays or glitches. Increased connectivity - Cell towers equipped with 5G technology would have greatly increased capacity over 4G/LTE. That means more people - and more devices - should be able to communicate at the same time. The 5G networks being planned right now will operate in a high-frequency band of the wireless spectrum between 30 GHz and 300 GHz, in what's known as the millimeter wave spectrum. These millimeter waves can transfer heaps of data at very high speeds, but they don't travel as far as the lower-frequency waves used in 4G networks. High-frequency millimeter waves also have difficulty getting around walls, buildings, and other obstacles. On a lower-frequency network like 4G LTE, the antennas can be farther apart, and obstacles aren't a big issue. When the 5G networks are built, the carriers will have to use more antennas-many more-to get the same coverage as our current networks. You'll see mini-antennas basically everywhere. How does 5G differ from predecessor networks? Currently, 4G LTE transfer speeds top out at about one gigabit per second. That means it takes about an hour to download a short HD movie in perfect conditions. But, 5G will increase download speeds up to 10 gigabits per second. That means a full HD movie can be downloaded in a matter of seconds. 4G occupied the frequency bands up to 20 MHz. In the case of 5G, it will likely sit on the frequency band up to 6GHz. It took 15 seconds to down a 5MB MP3 file via the 3G connection. With 5G, you may be able to download an entire movie in just moments. While 2G, 3G, and 4G focused on mobile radios, 5G covers an entire ecosystem of radios, impacting categories beyond smartphones. 5G is expected to drive emerging technologies such as the Internet of Things, Virtual Reality and Augmented Reality. 5G is going to have a big impact on segments beyond mobile broadband, such as smart cities, robotics, self-driving cars, healthcare, agriculture, and education. 5G will ensure that the communication cycle of your input, smart home device, cloud servers and output is ultra-fast. This requirement will exponentially grow when humans begin using more smart home devices. At the moment, 4G networks haven’t been scaled up to handle such heavy loads of data. Your 4G-capable phone will work on older 3G networks. They aren't forwards-compatible, though, so you'll have to buy a new phone to work with the 5G standard. What types of 5G wireless services will be available? One is wireless broadband services which deliver internet access to homes and businesses without a wired connection to the premises. Network operators deploy NRs in small cell sites near buildings to beam a signal to a receiver on a rooftop or a windowsill that is amplified within the premises. Fixed broadband services are expected to make it less expensive for operators to deliver broadband services to homes and businesses because this approach eliminates the need to roll out fiber-optic lines to every residence. Instead, operators need only install fiber optics to cell sites, and customers receive broadband services through wireless modems located in their residences or businesses. And the other one is cellular services that will provide user access to operators' 5G cellular networks. The services will begin in 2019, as expected when the first 5G-enabled (or -compliant) devices are expected to become commercially available. Cellular service delivery is also dependent upon the completion of mobile core standards by 3GPP in late 2018.